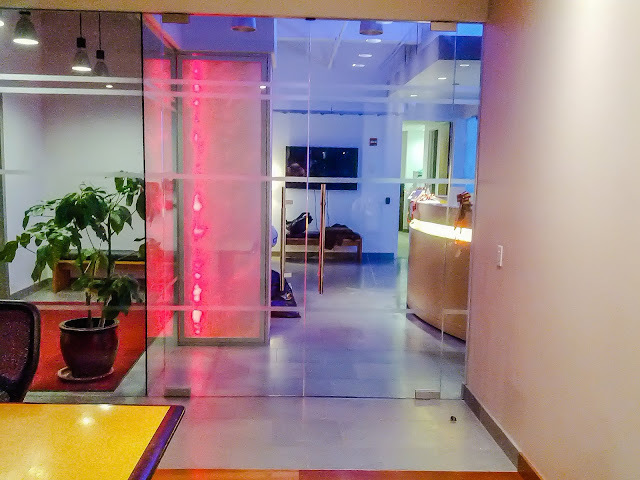 ARTLOOK Glass, Inc. specializes in sophisticated architectural items for designers and architects. 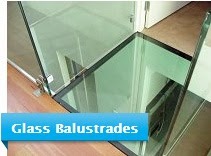 We offer you special, interesting and interactive items like glass floor, glass bridges, glass stair treads, glass steps, glass treads, Liquid Lava liquid loaded ground tiles, table tops and bar tops, antique mirrors, cast glass, thick glass, glass bar tops and glass counter tops, holographic glass, dichroic glass, mirror subway tiles, painted glass, textured glass, stacked glass, slumped/fused glass, and other specialty ornamental glass products. 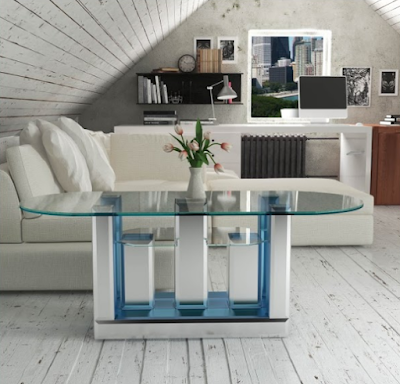 All of our items are made in accordance to the optimum expectations, ensuring that they are not only gorgeous but also sturdy and protected..
Glass desk is a great solution for the home and office. Our work space has evolved dramatically over recent years and so have our luxury desks. Our range of glass office tables will create the perfect center point to your working environment. We offer a stunning range of modern desks in a variety of sizes and finishes, including our popular trestle desk with glass top. As a manufacturer we can make desks to bespoke designs and specific sizes to suit your specific requirements. 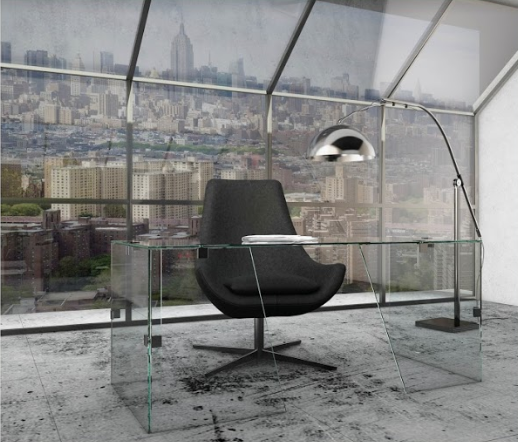 Create an elegant office space with all glass desk. 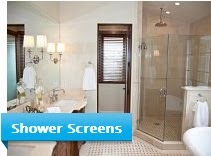 This option will help you to create the open and airy space in your home or office. Custom Glass Table company offers useful storage along unique designs and finishes. 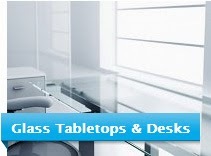 Custom made glass desks are an excellent choice all of which can be ordered online today. 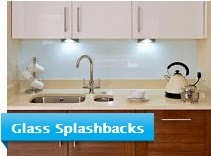 Glass is a very popular material when it comes to furniture, almost as popular as wood. It’s widely used in modern designs because of its simplicity, versatility and capacity to look delicate and sophisticated without sacrificing durability and strength. 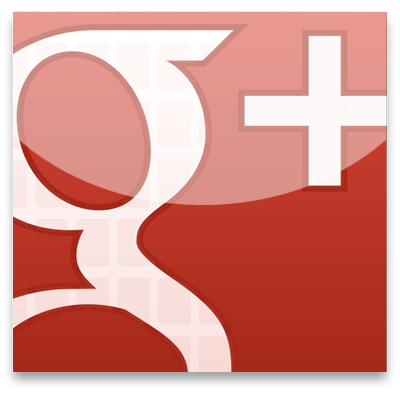 There is a significant trend in interior design, and has been for several years now, involving the use of “invisible” materials, such as acrylic and glass. These substances are making a comeback particularly in contemporary furniture designs, sort of an updated throwback to mid-century designs. 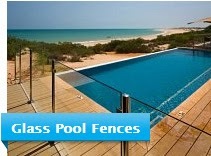 The glass is a perfect material which can be combined with any other materials and can create a great combinations. 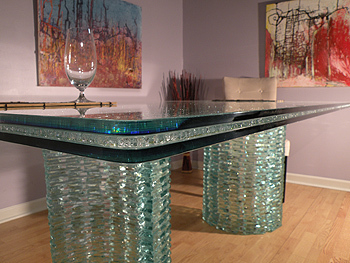 Custom Glass Furniture is a great solution for sophisticated interiors. Glass furniture is available in different variations: dining tables, coffee tables, consoles, glass displays, shelving units and many other. 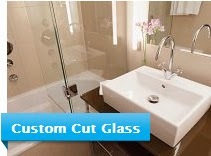 Custom glass furniture has become more common over the past years. This is likely due to a variety of reasons, not the least of which is the fact that, due to glass’s transparency, it showcases the architectural design of the design. 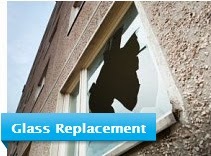 Contact our team and choose your perfect custom glass item. Do not be afraid of dark colors. They are rather interesting and captivating. Do not believe in it? Here are our arguments that confirm our words. 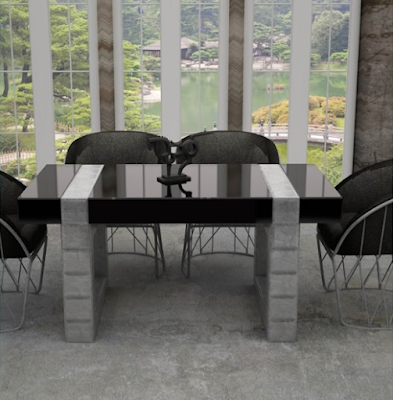 Black color, all by itself, is very neutral, and it is possible to include black glass table into any interior color palette. This will be very beneficial for those homeowners who have already finished working on their room decoration and are now looking to spruce it up a bit. Black can be combined with any other interior shade or even shades. It is a great variant for those who are looking for the piece of furniture that will be able to be a centerpiece of the interior. Black Glass Table can easily contrast with other furniture. And the contrast will make the space even more bright and modern. 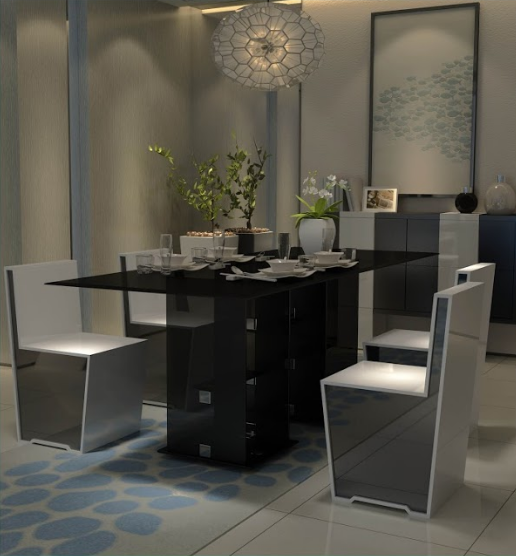 If black furniture units in your living room are few, they will act as gorgeous contrasting elements. Sure, one of the most impressive arrangements would be to contrast light walls with dark furniture. 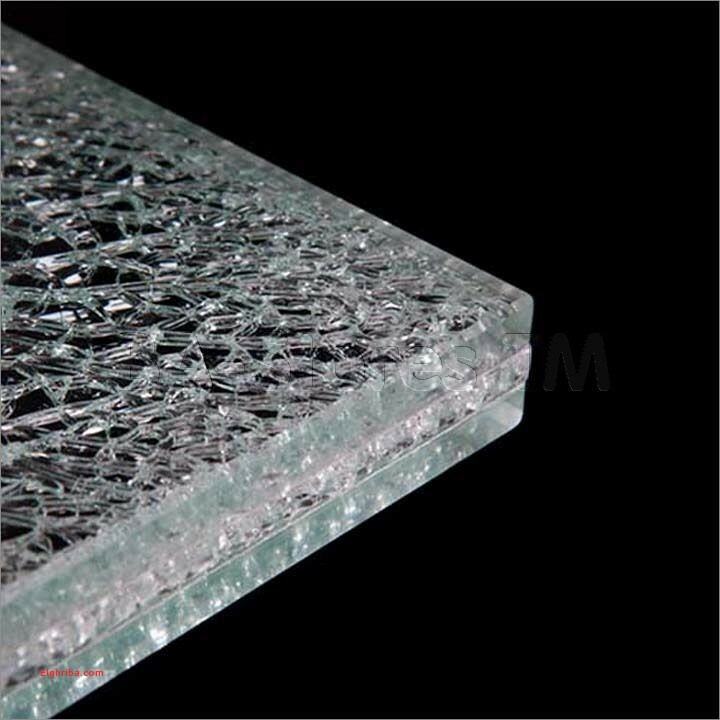 All glass coffee tables which we are offering are made of tempered glass. This is one of the most durable production materials in the furniture market. So, it is totally safe for any family, even the one with little kids. You have a great table and want it to remain in the same good condition for a long time? 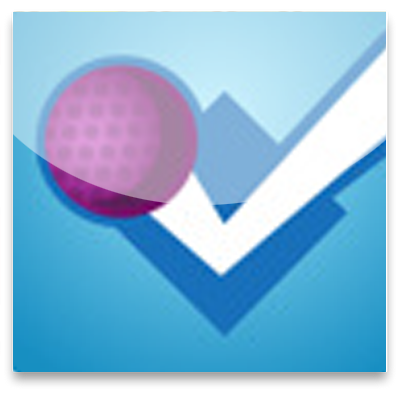 We have a great variant for you! 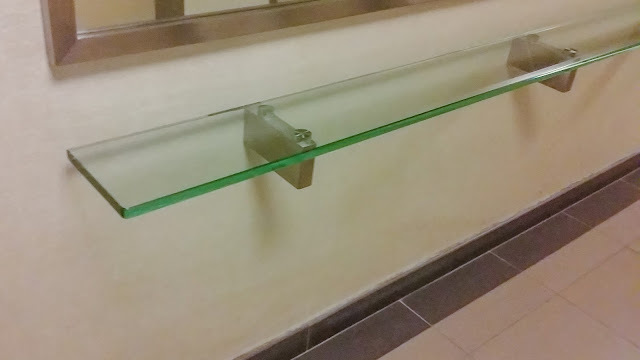 Protect your table with the Glass Top. 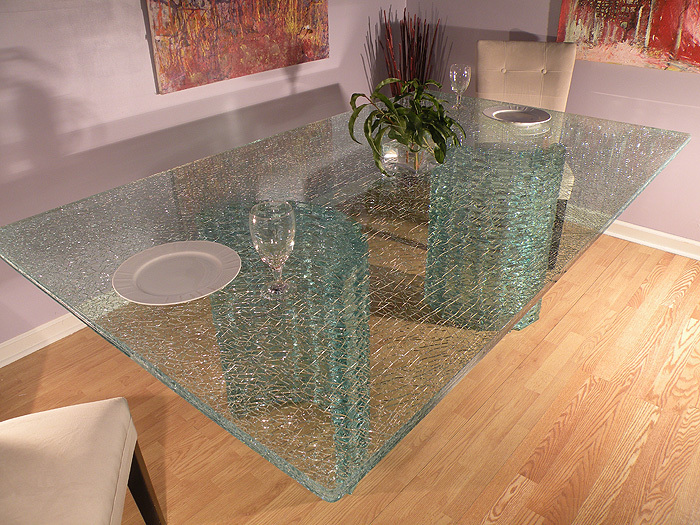 Using Glass as a protection for your table you can be sure that the table will saved from the damage or scratches. 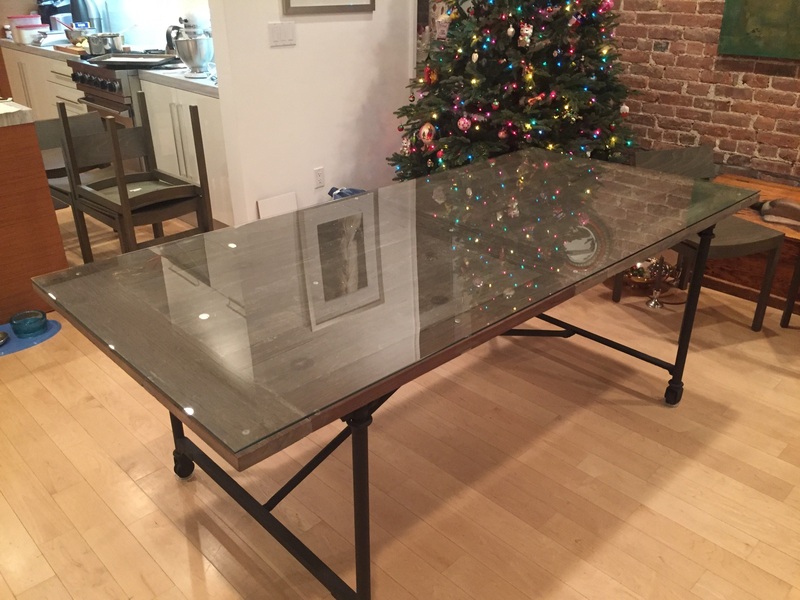 You can add a glass top to an existing dining table, coffee table or any other kind of tables, in addition, you can make your own table from an old door, a crate or a pallet and simply put a glass top. The glass top is also really great if you want to get a table with a really interesting-looking base. 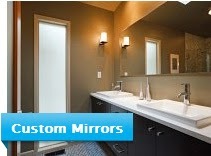 The transparent glass allows you to draw attention to the base and, instead of hiding it, it will make it stand out. There is no need to worry that the glass can make a shade on your table - we are offering Starphire Ultra Clear glass also! The color of the table will remain exactly the same. All out table tops are custom made - so just contact us and get your glass table top which will fit perfect to your table!